Music in Brands | What music does your brand like? Our service for brands, artists and labels. Launched fall 2015. 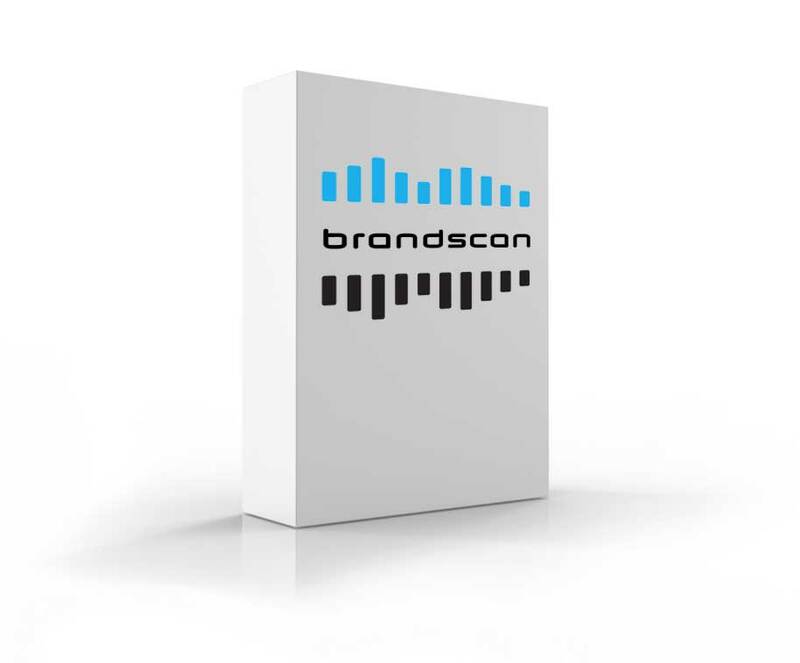 This fall Music in Brands launches the product Brandscan. Brandscan monitors a brand for the period of a week and then delivers a report on which genres are closest related to the brand. Furthermore it gives a list of which artists in the discovered genres are trending and a summary of the total reach and social engagement of these artists. Brandscan also offers custom analytics for artists or record labels. Possibilities include comparing artists or genres to soda brands, alcoholic beverages, car brands, fashion brands and more. 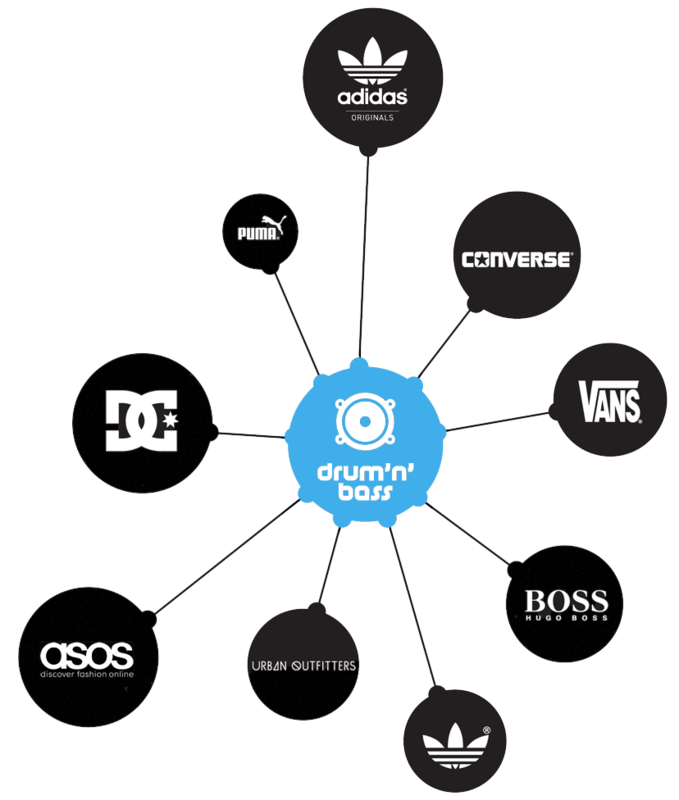 For the drum and bass public there is a high interest in sneakerbrands which is combined with fashion brands like ASOS and Urban Outfitters. 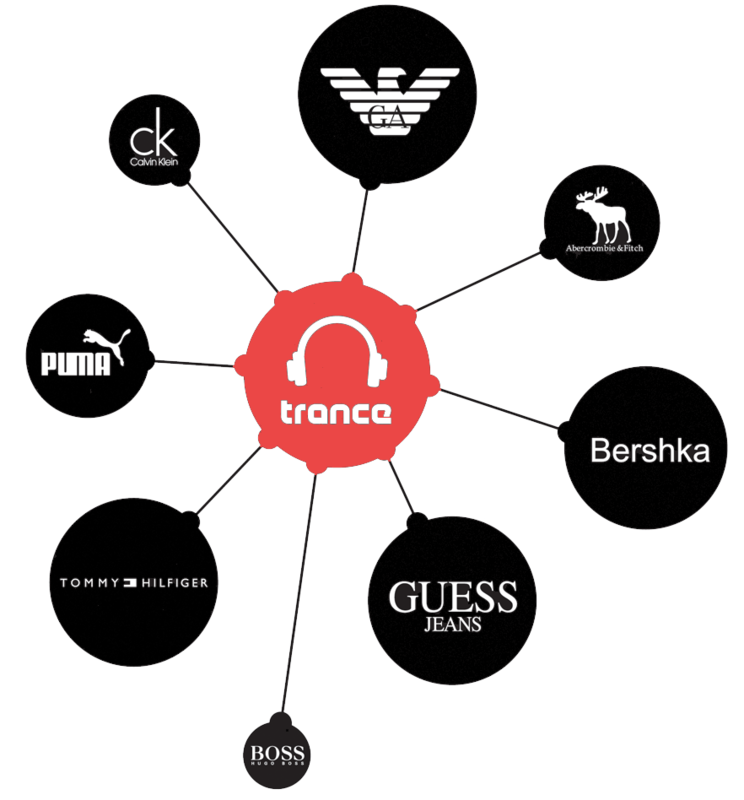 Comparing world biggest fashion brands on social media with the dance genre trance. The fashion choice of the trance public seems to be in bit higher priced category like Armani and Tommy Hillfiger. We also see a big share for GUESS which has been in a sponsordeal with Tiesto. 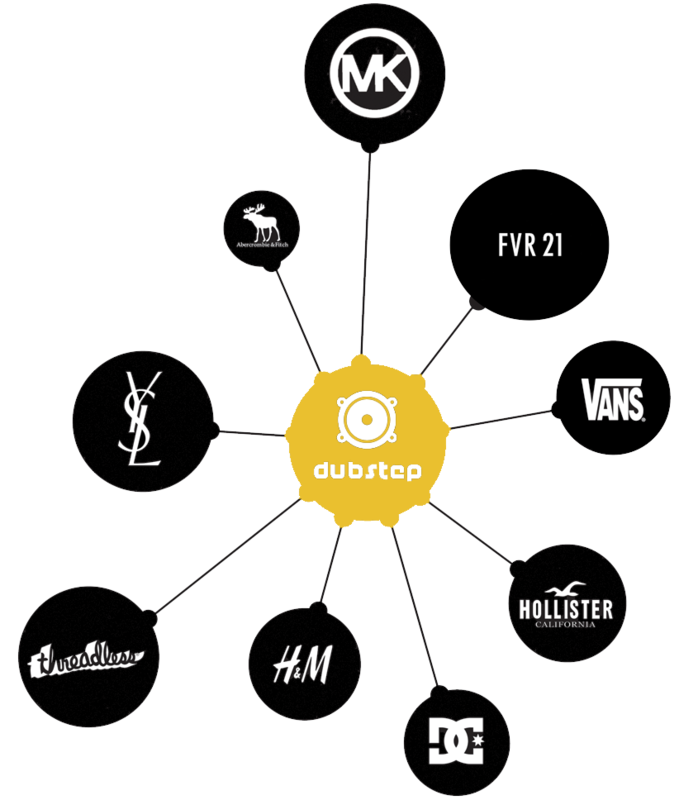 Comparing world biggest fashion brands on social media with the dance genre dubstep. When we look at dubstep we see more of a mixture of luxury, alternative and retailbrands. Also sneakerbrands do pretty well in the dubstep scene. Comparing world biggest fashion brands on social media with the dance genre drum and bass.